Thanks so much for stopping by. We’re slowly making some changes here on Scattered Squirrel, and you’ve happened to stumble onto a post that recently got a bit of a makeover. 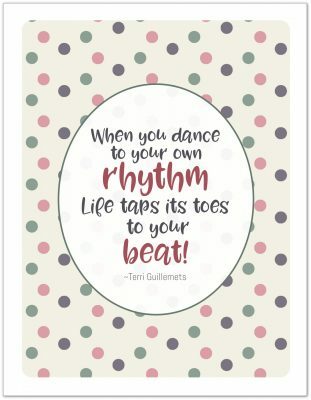 You check out the new post right here, just click the picture of the link below. We have to eat, but that doesn’t mean that we have to break the bank to do it. 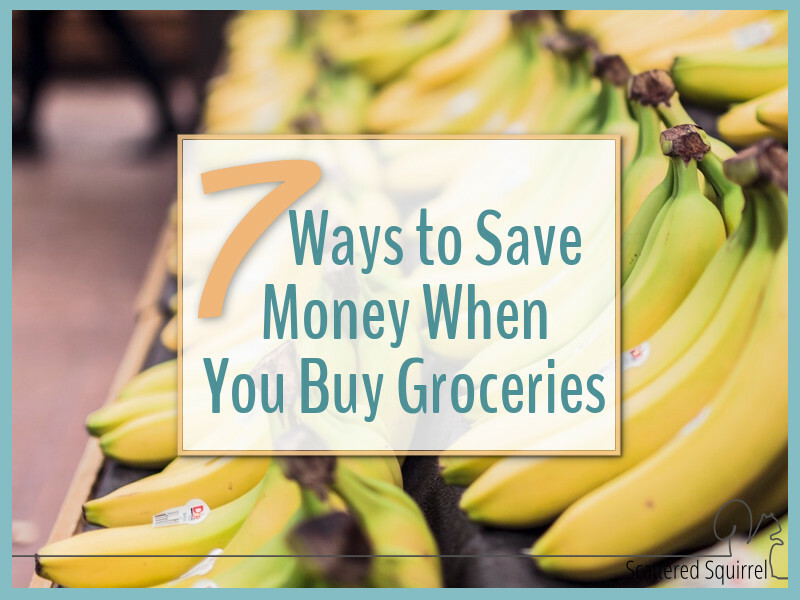 You can check out all seven of my tips for how to save money when you buy groceries right here. 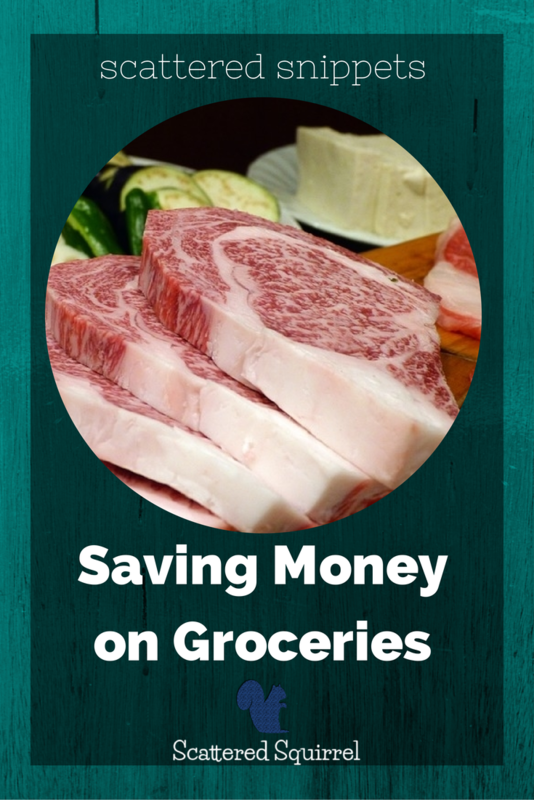 We started buying our meat from a local butcher, and found that only are we saving money on groceries we’re also getting a bettter quality of meat. Our meal planning system is always evolving, here’s a peek at our current system and explanation about why I stopped planning my meals. Maybe you’re look for a way to organize your reipes or keep track of your pantry inventory. 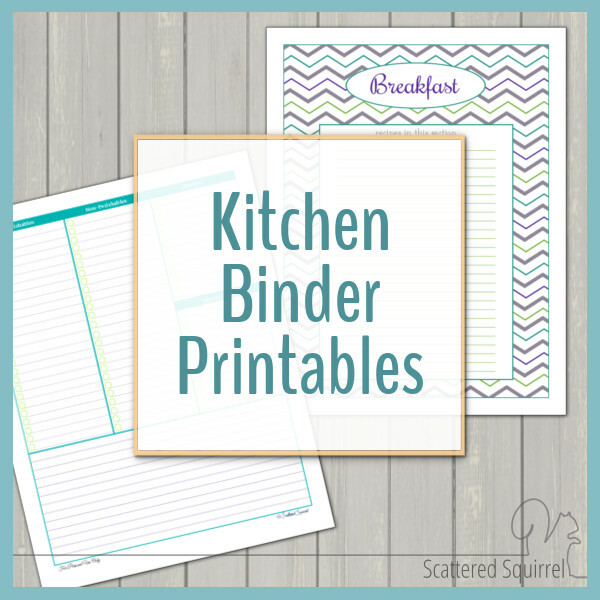 You’ll find a variety of different printable on the Kitchen Binder Page.